Hey y'all! I know it's been weeks since I've posted, hopefully that'll be changing soon. I'm working on scheduling a post a week from now til July for y'all while I take my Maternity leave. I've been beyond exhausted lately, so finding the energy to even look at a computer screen has been difficult. But luckily I have still been cooking as we have to eat and I get cravings! haha! I don't know about where y'all are but here in AZ it's already feeling like summer, ugh! Now don't get me wrong I love living here, but the 100+ degree days while pregnant are NOT fun! Thank goodness for a working air conditioner. Normally I'd be wolfing down the ice cream to help beat the heat but this pregnancy has rendered me lactose intolerant... :-( I miss my ice cream, really badly, like I dream about eating it again... haha! But I have found a few alternatives that I actually am really enjoying. One being this very easy "sorbet". As some of you know I don't have an ice cream maker (Mother's Day is coming though... hint hint to my Hubby!!) but I've been able to make do without it and still get some delicious cold treats that I can actually eat. This one was probably one of my favorites, and you could easily change up the fruit used to suit your personal tastes, but I happen to love the combo of mango and pineapple. It has this tangy tropical taste that I find very refreshing on a hot day. I hope you like it! Slice up all the fruit, then place it in your freezer for a few hours. Once fruit is frozen, add it all and the water into your food processor (or blender but I find my food processor works better for this), and pulse about 10 times, then you will need to scrap it down. Keep processing until smooth, adding more water if needed. This will take awhile with the fruit frozen. Once it's all smooth you can serve right away for a more creamy sorbet, or you can place in a freezer safe container and freeze for another hour until more solid, then using an ice cream scoop, scoop into a bowl and eat. This will keep in the freezer for a couple weeks. While this is a very simple recipe it does require some planning ahead of time, with the freezing of the fruit and all that. Now you could buy already frozen fruit and cut the time to almost nothing if you wanted to. The banana is a must as it helps it from being too tart, plus it provides a needed texture to hold it all together. I just loved this and already have plans to try adding some other fruits next time! 4.5 stars. This looks great! Thanks for sharing. I have been enjoying frozen banana and unsweetened cocoa pureed in the food processor. It is like eating chocolate and banana ice cream and is so healthy. I am super excited about trying your recipe. I plan to share it on my favorite finds this Friday. I love recipes that are both delicious and good for you! This sounds so refreshing. I am heading into summer here too and am only in my 4th month of my pregnancy! I foresee many many days of sorbet!!! Oh, my, this looks so refreshing and tasty!!! I love sorbet...mmmmmmm. 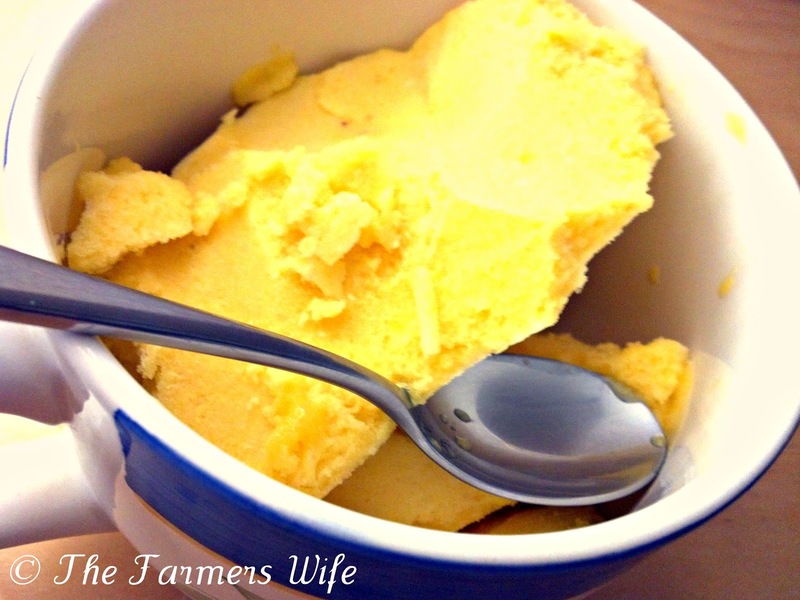 I am currently eating and enjoying your sorbet recipe. Thanks, again for sharing!